With nine of the top ten global retailers using iOS devise in their business, it’s clear Apple’s mobile devices are what we expect to find when we go shopping. Apple Chief Financial Officer, Luca Maestri alluded to the Apple’s rapid progress across retail during the company’s Q4 2018 financial call. The company was confirming record revenues and continued strength in iPhone sales, despite what some analysts call a “recession” in the sector. “We are seeing industry-wide adoption of iOS at thousands of retailers, from neighborhood boutiques to many of the best-known retailers in the world,” he said. Retail is no different from any other sector when it comes to the adoption of new technologies. Enterprise choice schemes are quite naturally prompting enterprises from SME’s to corporations to invest in iOS. Rituals Cosmetics has deployed Macs, iPads, iPhones and iPod touch devices across its global network of 670 stores in 27 countries. It uses these systems for various tasks, from training to management, stock taking to point of sales and payments. The company has even created an app to help customers choose the most appropriate cosmetics. Apple Business Chat and ARKit are also seeing use across different parts of the retail sector. Burberry, West Elm, Four Seasons and others are now supporting customers using the first technology, while IKEA, Build.com Houzz, Wayfair, Overstock and many others have created apps that let customers virtually try before they buy. Even giant U.S. retailer, Walmart is giving augmented reality a try – just this week it introduced a new AR scanning tool to its iPhone app. Customers can use this tool to scan multiple products, and it will then provide access to comparative pricing information, customer reviews and other information about the product. Consumers are more prepared to engage with digital when they shop. They will compare prices, even in the shops. They want voice support, they will use AR technologies to explore purchases before investing in them, they want to see something in the store and order it online, or have it delivered. They are also becoming more willing to invest time to find ethical products. “Today’s consumer is a savvy shopper, armed with more product knowledge than ever before,” Rodney Bryant, IBM Global Business Services Retail Industry Lead for the Apple Partnership Team told me in 2017. Apple’s retail arm is transforming the company’s chain of stores into what the company calls “Town Squares”. 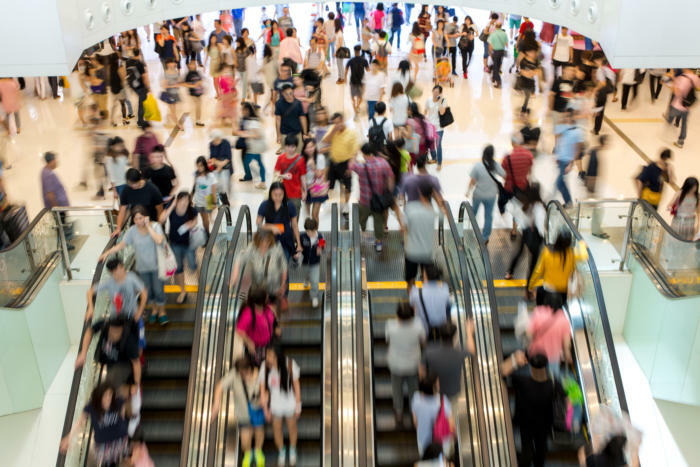 It may have been ahead of its time in declaring this purpose, but other retailers are picking up on the idea that consumers aren’t just into shopping, but also seek more social experiences in store, as noted by Adyen. iOS empowers these new retail experiences. It takes more than simply throwing technology into the mix. Implementation must be properly planned so is helpful that some of the bigger names in tech, including Jamf, offer tools to help retailers deploy Apple’s solutions effectively. IBM MobileFirst for iOS, provides retailers with iOS tools for numerous tasks, including ordering, sales, purchasing, management, staffing and more. It’s not the only company to provide these forms of integration services: Netsuite, Highline, Workplace, Square, Erply, Shopify and others all offer solutions that can be used at different spots along the retail customer journey. Who saw any of these seismic changes coming when Steve Jobs introduced the first iPhone in 2007 and Apple’s competitors laughed at the cost of the device?